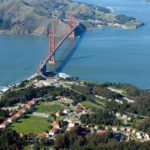 The net number of homes listed for sale in San Francisco ticked up 5 percent over the past week to 645, which is 10 percent more than at the same time last year, 59 percent higher than at the same time in 2015 (405) and another 7-year seasonal high. 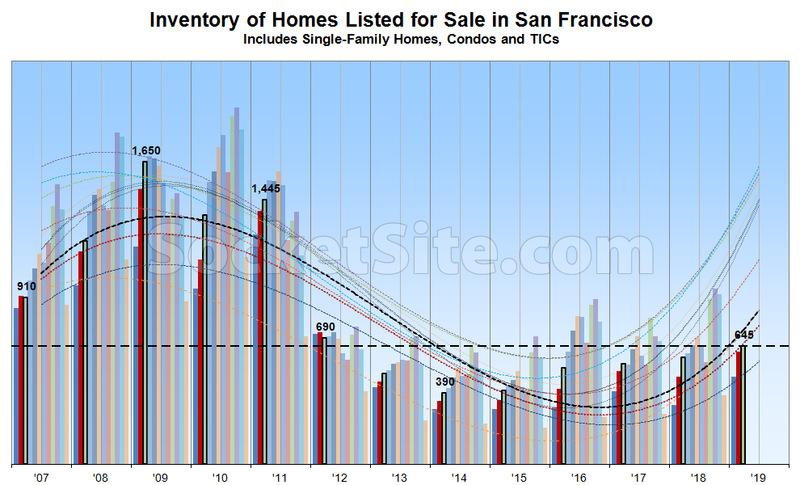 At the same time, the percentage of listings in San Francisco which have undergone at least one price reduction is now running a little over 14 percent, which is one (1) percentage point higher than at the same time last year. And the total number of homes in contract to be sold has been running around 7 percent lower on a year-over-year basis since the end of February. Expect inventory levels in San Francisco to climb through June, followed by a typical summertime lull and peak in the fall. Good lord, why are you trying to fit a cyclic curve to this data? I don’t think they are, but the fact they never describe what the fit *is* has always struck me as sadly unscientific. As we’ve actually noted in the past, it’s a simple polynomial function. Have you tried your simple polynomial function on more complex data? Because it looks like you are fitting a cubic to the whole time series. One up hump, one down hump, infinities on either side and screw the data if it says otherwise. This just shows that it’s a better time to buy now, than it was 2 years ago. If you plan on staying in SF long term, the $1,000,000 you spend now will seem cheap, when your condo is worth $15,000,000 in 30 some odd years. My condo I paid the high price of $85,000 in 1981 is now worth $1,300,000. No one would have believed it would be worth that much today, back in 1981. Oh, I only put $5,000 down to reap this profit and priceless housing security. 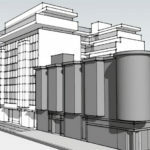 Unbelievable – the number of units for sale for a population of over 850,000 people is a MERE 645 housing units. What happens when the 6-8 IPOs in San Francisco take off? Can’t even imagine. Those units are going to get snatched up so fast. Bidding wars up the wazoo. We saw it in the tech boom 1.0 in the 2000’s, and we will definitely see it again.